Joe Gugelman (@prommanow_joe) currently resides in Las Vegas, NV. When he's not obsessively watching every MMA fight he can get his hands on, he also enjoys playing poker, watching movies, and spending time with family. He moved from Fort Wayne, IN to Las Vegas in 2008, and is currently employed in a large, off-strip card room as a poker dealer. ProMMAnow.com (www.prommanow.com) reporter Joe Gugelman was on scene at MGM Grand Garden Arena Saturday night for “UFC 148: Silva vs. Sonnen 2” and caught up with professional funny man Jim Norton to get his thoughts on UFC middleweight champion Anderson Silva’s second round TKO win over Chael Sonnen. 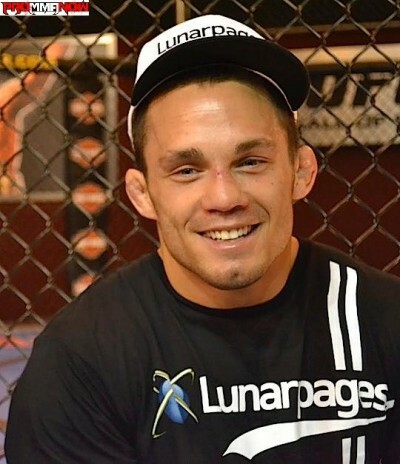 ProMMAnow.com talks with UFC welterweight contender Jake Ellenberger about his upcoming bout with Martin Kampmann which takes place Friday in the TUF Live Finale main event live on FX. ProMMAnow.com (www.prommanow.com) was on the scene at the TUF Live Finale open workouts on Wednesday in Las Vegas and caught up with UFC welterweight contender Martin Kampmann (19-5) who will headline Friday’s fight card against Jake Ellenberger (27-5). ProMMAnow.com reporter Joe Gugelman caught up with The Ultimate Fighter Live semifinalist Andy Ogle at the TUF brunch this past week in Las Vegas. After 13 weeks locked up in the TUF house, Ogle was enjoying his freedom back in the real world. 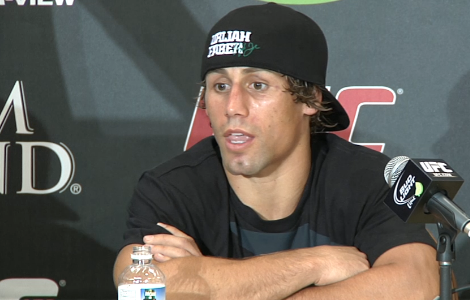 He discussed his semifinal loss to Al Iaquinta and his desire to fight in September when the UFC visits Nottingham. ProMMAnow.com reporter Joe Gugelman caught up with UFC bantamweight champion and coach on this season’s The Ultimate Fighter Live, Dominick Cruz (19-1), during a special TUF luncheon last week. ProMMAnow.com’s Joe Gugelman caught up with UFC 146 headliner Frank Mir after the weigh-ins on Friday to talk about his upcoming heavyweight title bout with champion Junior Dos Santos. Mir seemed to pretty much be in fight mode at this point as all the talk and build-up had come to an end. ProMMAnow.com reporter Joe Gugelman is on the scene at MGM Grand Garden Arena for today’s “UFC 146: Dos Santos vs. Mir” fighter weigh-ins and will provide live results as each fighter steps on the scale. UFC 146 is headlined by UFC heavyweight champion Junior Dos Santos making his first title defense against former two-time heavyweight champ Frank Mir.